Knowledge Base > Jarida > How to add lightbox in a post in Jarida theme ? 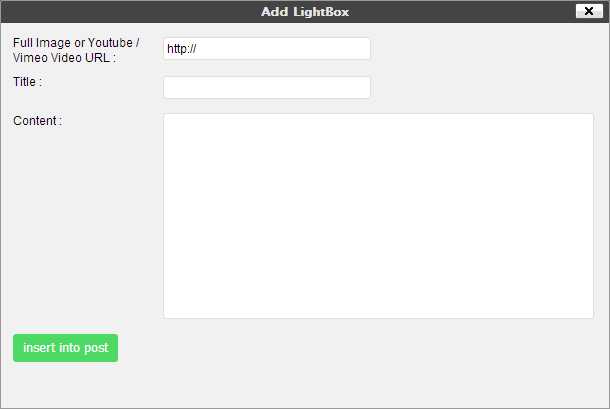 On the Visual editor mode .. click on lighbox shortcode icon . The Full Image or Youtube / Vimeo Video URL which that will appears in the lighbox . Then click on insert into post button.